How do I buy a foreclosure or short sale listing? SFR Short Sale & Foreclosure Resource Broker, Jeanie Elliott of Jeanie Elliott REALTORS, ABR, Accredited Buyers Broker for Fairview, Allen, Frisco, Parker, Lucas, Prosper, McKinney, Celina, Wylie, Lovejoy ISD, Collin County Broker Specialist Since 1980. Ready to buy a short sale? A short sale happens when the homeowner's lender consents to accept a reduced sum to release a mortgage. Should you have questions regarding distressed properties and short sale listings for sale in Frisco, Allen, Celina, Fairview, Lucas, McKinney, Murphy, Parker, Plano, Prosper, Richardson, Wylie, Collin County or other areas of the Dallas Metroplex, call me at 972-612-2277 or email me. Sometimes. Most people hear the phrase "short sale" and automatically think of a seller that is in trouble and needs to sell their home promptly to avoid further financial problems. This is often the case in many short sale transactions, and can be an opportunity for a buyer to take advantage of another's misfortune. However, a lender may potentially consider a short sale even if the seller is current, but is in and area where property values have declined. In cases such as these, the discounted price may in fact be consistent with current market values instead of below. Thus, the buyer would need to determine if the delays and risks that are consistent with short sale transactions are off-set enough by the discount to be worth the wait or if there are better opportunities available to purchase from a motivated seller that is willing and financially able to sell at a price that is realistic and attractive and can offer the buyer the ability to purchase under more predictable conditions or on more favorable terms with less risks. How do I buy a short sale? Before making any purchase offers, do your homework. Using a knowledgeable real estate broker like Jeanie Elliott of Jeanie Elliott REALTORS, ABR, SRES, SFR, ALHS, CHMS, M.S. BUSINESS, BROKER/OWNER to support your research of a property and help you make knowledgeable decisions. Ms. Elliott can assist in determining to whom the property is titled, the amount owed to the lender(s), and whether or not a foreclosure notice has been filed. Having this information can help you make a decision about how to proceed, whether you want to pursue the property by putting in a written offer, and how much to offer based on the market and other sales in the area where it is located. Hire a real estate broker with short sale knowledge that has taken specialized training and has experience with selling foreclosure properties and working with distressed properties. Jeanie Elliott of Jeanie Elliott REALTORS, ABR, SRES, SFR, ALHS, CHMS, M.S. BUSINESS, BROKER/OWNER has the training and experience, can help in expediting the transaction and make sure you're protected. Don't let inexperience hinder this process by working with an agent that does not have the training and skills. Using the right REALTOR with the training, knowledge and skills will help guide you through the process and has a higher possibility of coming to a successful closing. Even with an experienced real estate agent and under the best circumstances, buying a short sale property will generally take longer than a typical real estate transaction. Be aware that a majority of short sales will not close in the customary 30 to 45 days or less. Also, keep in mind that you're not only getting approval from the seller, but the lender must also agree to the discounted price. Commonly, your offer will go before a committee to approve or disapprove which will add time - usually a minimum of 2 to 3 months to get a response back. Also, it is not unusual for it to take longer, 4 months or even up to 6 months in some cases when there are delays due to tax problems or there is more than one lender that has to agree and approve the short sale. Short sales are not for everyone. They do take a great deal of patience and flexibility. Home protection warranties, buyer credits and allowances, and closing cost concessions are generally not negotiable when buying a short sale. The lender will be selling the property "as is" which means the lender isn't going to pay for repairs. Be sure to reserve the right to have inspections for pests, HVAC, electrical, and other critical areas. At Jeanie Elliott REALTORS, ABR, SRES, SFR, ALHS, CHMS, M.S. BUSINESS, BROKER/OWNER, when we write an offer on these type of properties, our company policy is to only work for clients we represent as their buyers representative broker, representing the purchaser only. Then, we will be looking out for your interests above all else and will always advise you to make your offer contingent upon the results of the inspections. Jeanie Elliott of Jeanie Elliott REALTORS is also an ABR, Accredited Buyers Representative Broker, and provides both the SFR and ABR specialized services to her clients that she represent on the purchase of foreclosure properties and short sale transactions, offers and closings. When it is time to buy, whether it be a short sale, REO or bank owned property or a typical home purchase transaction, Jeanie Elliott of Jeanie Elliott REALTORS, ABR, SRES, SFR, ALHS, CHMS, M.S. 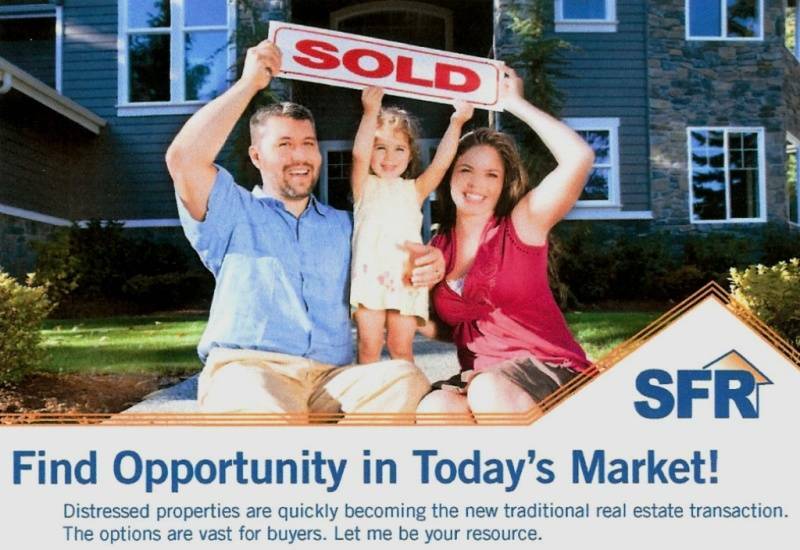 BUSINESS, BROKER/OWNER is well able to help you determine the best opportunity in today's market for your situation. With 30 years full-time experience in the local real estate markets and a broadfield of knowledge, skills, and training in several areas including short sales and foreclosure properties, new homes, preowned homes, country estate properties, seniors real estate, gated and guarded communities, townhomes and condos, farms and ranches, and luxury estate homes on acreage, you can be confident your best interests will be protected, you will be well informed, and you are in good hands throughout the process. Are you interested in Foreclosures, Bank Owned Real Estate on the Market (MLS) and REO Homes for sale in Allen, Frisco, Fairview, Lovejoy ISD, Lucas, McKinney, Melissa, Murphy, Parker, Plano, Prosper, Celina, Wylie, Community ISD/Lavon and other areas of Collin County and North Dallas? Call Jeanie Elliott to see the current listings for Foreclosed Homes, REO Properties, and Bank Owned Real Estate on the Market in the Dallas MLS, multiple listing service. Ms. Elliott is a Certified SFR, Short Sales & Foreclosure Resource Broker, Certified by the National Association of REALTORS and has the specialized training to guide you through the offering and purchase process to help you take advantage of these types of real estate transactions. Today's market is filled with different types of purchase opportunities, from short sales to foreclosures and everything in between. Jeanie Elliott of Jeanie Elliott REALTORS, has the training to navigate this market and help you find the best opportunity for your future. Today's market is filled with new types of properties from short sales to foreclosures and everything in between. I have the training to navigate this market and help you find the best opportunity for your future.